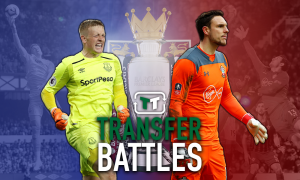 Southampton preparing January bid for gifted Championship midfielder | The Transfer Tavern | Where football transfer rumours fly or die! The Southampton fans in The Transfer Tavern are this evening gathered around the jukebox, discussing reports linking them with a move for a Championship wideman. The Daily Mirror is reporting that Southampton are readying a £7.5 million January transfer window bid for Brighton and Hove Albion youngster Solly March. The England Under-21 international has played an impressive part in the Championship side’s start to the current campaign. 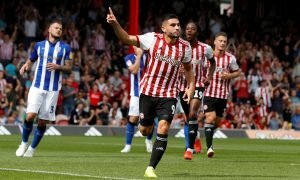 Southampton manager Ronald Koeman was interested in bringing the player to St Mary’s 18 months ago, but decided against a move due to the player’s inexperience at first team level. 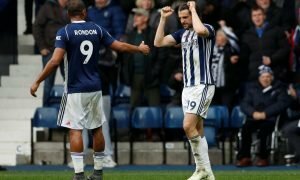 Now it appears that Koeman is ready to test Brighton’s resolve for the player to remain at the club by making a multi-million pound bid in January. Our landlord here in the Transfer Tavern has been down to the AMEX Stadium number of times this season, and has been incredibly impressed with the talented wideman. The Southampton fans in the Transfer Tavern are delighted to be linked with a move for a promising player like March, and hope Koeman pursues him in January! Saints fans…… What do you make of this news? Would you like to see March at the club? Let us know your thoughts and opinions below!